The 18-year-old had to be tended to by paramedics and was taken to hospital after complaining of feeling unwell late in the second half. He was discharged late last night, but will have to undergo more tests in the next few days. Clarke spent the night under the supervision of Leeds' medical staff after the worrying incident. The attacking midfielder posted on Twitter today after being inundated with get-well-soon messages. He wrote: "Would like to thank everyone for the support and love they have shown, massively appreciated." 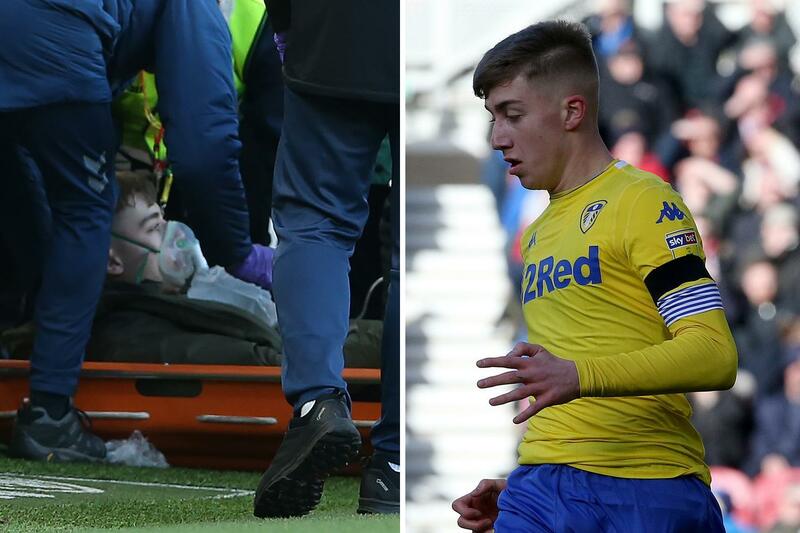 The 18-year-old was replaced at half-time of the 1-1 Yorkshire derby draw at the Riverside that saw Leeds move to the top of the Championship. The club's chief executive Angus Kinnear has also thanked the footballing world and wider for their support for the teenager. He wrote on the club's website: "Jack has had messages from football fans from every club you can imagine and we all really appreciate it. Clarke's agent and former Leeds defender Ian Harte confirmed the player was "happy and smiling" last night after leaving hospital. Harte posted an update on Twitter, saying: "Jack has left the hospital now happy and smiling. Hopefully back on the pitch very soon."